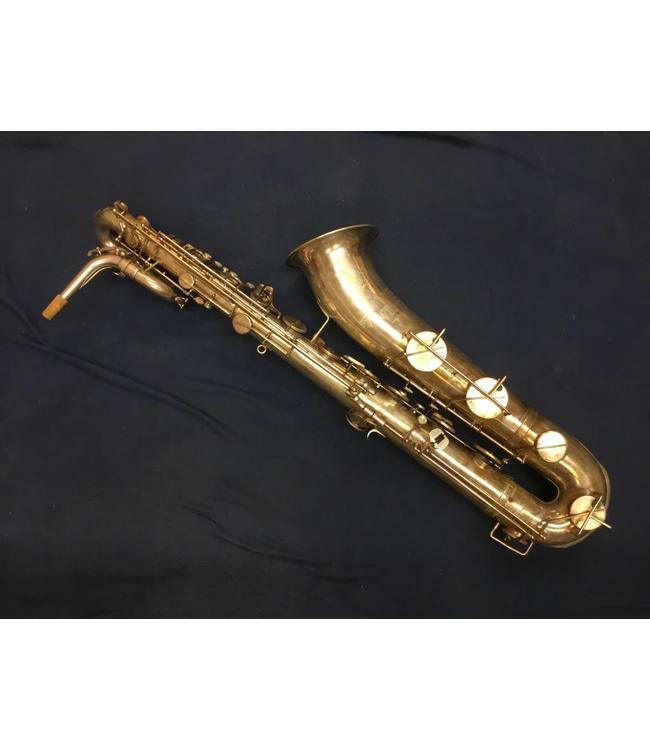 Vintage Amati Kraslice Toneking Bari sax. Stamped "Best in the World". Silver with Gold washed bell. Plays great through entire range. Modified with key guards on inside of bell. Huge sound. Comes with case.